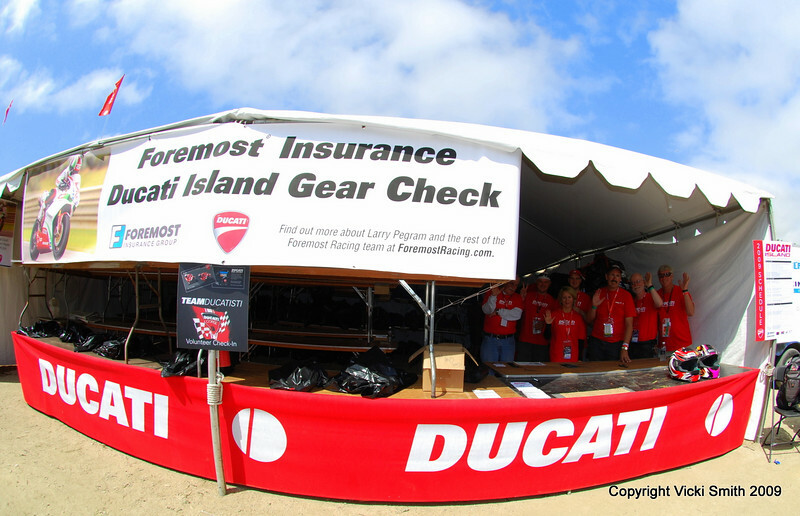 First stop, the Foremost Insurance gear check. Foremost believes in smart riders who wear good gear and they are very much aware how much we invest in it (these guys "get it", Foremost standard coverage includes track days and realistic $$ gear replacement) so sponsoring a safe place for folks to stash gear was a natural fit. Staffed with hard working "Team Ducatisti" volunteers (thanks guys!) it's a quick stop to shed some weight and now it's time to see what's going on.